Last weekend, in a fit of weakness (spent the entire day practicing either yosakoi or tea ceremony), I ordered myself a pizza. I came home exhausted at 8 PM after three missed meals - I suppose you could count a cookie and a single Scotch Dark from Ambiance as at least 1/8 of one meal, but in general I was pretty close to starving. I had another commitment to attend to right away at home and wouldn't be able to cook anything, and I generally avoid keeping processed food in my kitchen, so there was quite literally nothing to eat. I broke. I got on Pizza Pizza's website and ordered myself a buffalo chicken pizza, and, I'm ashamed to say, polished off most of it right then and there without even offering my long-suffering roommate a slice. Since I'm not a huge fan of pizza in general, and this particular chain is one of two that I'll willingly eat, I later lamented to some friends what I had just done. Who promptly reminded me, "You used to do that in Japan." Ah, Japan. It's true - the other chain I enjoy is Pizza Hut, though you won't find me ordering a Super Supreme here anytime soon. It is Pizza Hut Japan that I yearn for. I gave Dominoes a try, but they didn't satisfy me. Unless we're talking about pasta bowls, but that isn't pizza. Many people who have at least a passing familiarity with Japanese culture are aware of the fundamental differences - and some might say, travesties - separating Western-style pizza with what you might find abroad. 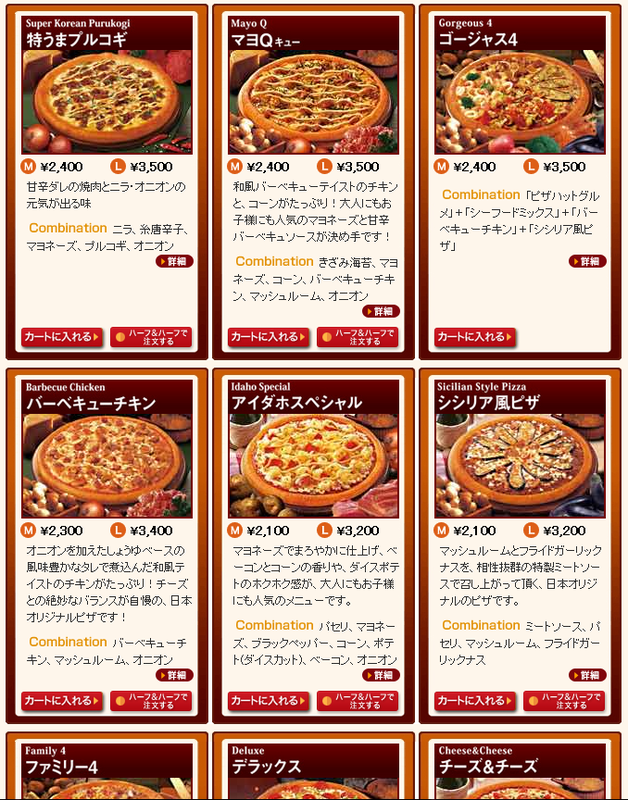 Just a few examples of Pizza Hut's fabulous Japan-only menu. black pepper, corn, diced potatos, bacon and onion. 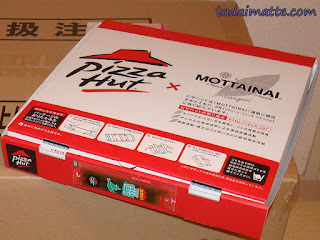 Personally, as a non-fan of the Western version, I took to Japanese pizza right away, especially when our local Pizza Hut plied me with all those flyers in my mailbox. I looked forward to Pizza Hut's monthly, eager to see what they might try next. The first few times, I called them myself (and you know I'm serious if I willingly undertake a phone conversation in Japanese with a stranger! ), but sometime around 2008 they set up a wonderful online ordering system that became my go-to method. I didn't buy too often, because pizza in Japan is an investment - even a medium pie was in the ¥2,000 range, and if you wanted something fancy, you were looking at ¥2,500, which at today's ridiculous exchange rate is $31. $31! For a single medium pizza! You can get a medium "base" for ¥1,100, but the toppings are ¥300 yen each - hardly cheap. 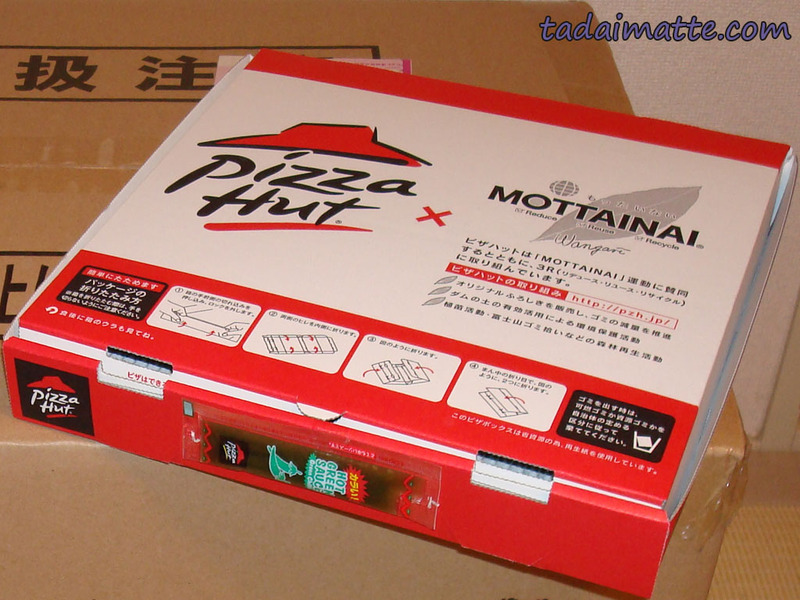 It's notable that the prices include the delivery charge (you cannot eat in at most pizza places, including Pizza Hut in Japan) and you'll have your price adjusted if you pick it up yourself. Pizza Hut warns you to be environmentally-conscious! I do think that the reason I like Toronto's Pizza Pizza chain so much as well is because it's also a departure from the traditional - dare I say it, cheap and simple - pizza of my childhood. My brothers, both pizza lovers, frequently pushed for takeout on Fridays, and would get pepperoni, slathered in the cheap spiced tomato sauce that I hated from our local pizza place. I'm generally a fan of anything tomato, but it turns out that when it comes to pizza, you can just about leave off the sauce - it's the toppings that make it for me! Bottom line - no matter how alarming it might seem, if you're in Japan or heading there soon, you really need to think about trying pizza over there. I promise that having sweet corn on your pizza is a mystical experience, even though the opinions I've gotten about it have been highly polarized. Pizza Hut's a good starting point - the online ordering system has made it a snap, especially with the Hut's very useful English ordering guide. Don't forget to get the cheese-stuffed crust. Try it at least once - it's an experience!